In very good condition. A snag on the heel of the right boot. Alaïa high heels sandals in yellow and brown snakeskin. Size 39FR, made in Italy. 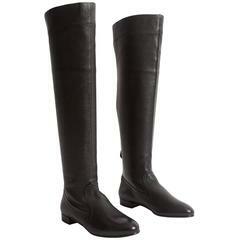 Dimensions: sole length 24 cm, heel height 11 cm, sole width 8 cm.